A Distinguished Lecture Series is being held on the centenary of Department of Economics at FCC and fifth lecture of this series was being delivered by an eminent environmental economist and activist of international repute Mr Ali Tauqeer Sheikh on Monday 19 October 2015 in E-025 at 11:30 am. 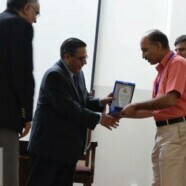 Mr Sheikh is CEO and National Program Director of Leadership for Environment and Development (LEAD) Pakistan. He also heads Climate Leaders Action Network (CLAN) and has performed as the Asia Director for Climate and Development Knowledge Network (CDKN). 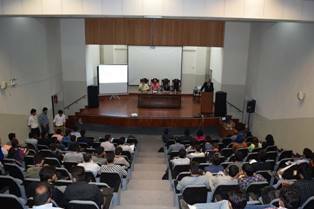 The topic of his lecture was 2047 and Beyond: Defining Pakistan’s Climate and Development Pathways. The lecture focused on the increased variability of monsoons in South Asia and its implication on the food security and agriculture in the countries situated in the South Asian region. 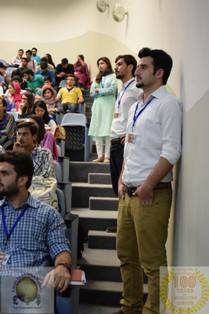 Moreover, he argued the implications of environmental hazards on rural as well as urban poverty in Pakistan. He identified poor resource allocation as the principal reason of climate and developmental challenges around the world in general and around South Asia in particular. The speaker emphasized that lack of effective water management in Pakistan could become an existential threat for Pakistan as a result of possible energy shortages and food insecurity in the country. The speaker advocated the role of intelligent investment priorities in renewable resources that could address the existential threat being faced by Pakistan. He argued that although the cost of these investments are very high but the cost of not making these investments are even higher. A q/a session was held at the end of the lecture where students as well as faculty members asked questions from the distinguished speaker. The disputed issue of water distribution between India and Pakistan and the scope of hydroelectric power generation in the two countries dominated the question-answer session. Distinguished Professor of Economics, Dr Akmal Hussain, elaborated the idea of holding the Distinguished Lecture Series and also introduced the distinguished guest speaker of the day. 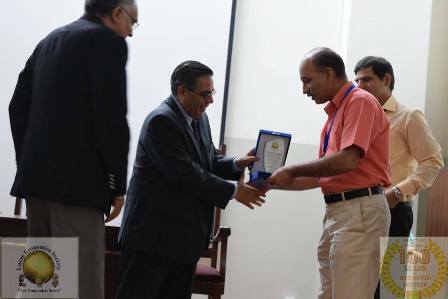 Professor of Economics & Chairperson, Dr Babar Aziz thanked the guest speaker for his contribution to the cause of learning at the FC College and congratulated the office bearers of LES for holding the lecture series successfully. Mr Muhammad Salahuddin Ayyubi, Advisor of LES, thanked all the speakers as well as the audience for making the event a success.